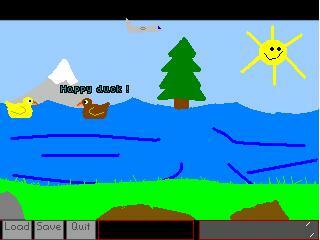 Your are Happy duck. You presance is required on a quest to the legendary pirate cave. Yet your journey knows many dangers. The duck is no more.